An Oireachtas committee has expressed “serious concerns” about the increasing use of own-brand products by supermarkets and retailers. TDS AND SENATORS have sharply criticised the use of own-brand products by retailers, claiming that it allows them to “bully suppliers” and gives them too much power. 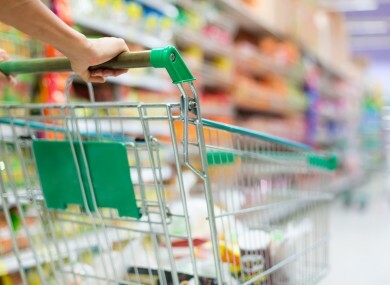 In a report on the grocery sector published yesterday the Oireachtas Agriculture, Food and Marine Committee expressed “serious concerns” about the growing use of own-brand products by retailers. It noted that there has been a big increase in consumers purchasing own-brand products as “the stigma” associated with them “slowly evaporates and consumers search for value”. But it said that the increasing sale and supply of such products forces suppliers to reduce their prices or else face losing the retailers’ business to other suppliers. “On the one hand there can be little doubt that their use has helped to drive the price of goods down, especially in the very recent past, as consumers have grown accustomed to what are, largely, goods of relative high quality,” the Committee’s report said. The Committee cited evidence from the Irish Farmers’ Association president John Bryan who said own-brands make it “way too easy for the retailer to substitute”. He cited problems associated with liquid milk, telling the committee: “Retailers have allowed so much of a differentiation between the own-brand and branded products. In its report, the committee noted that grocery prices were 38 per cent above the EU average in 2008 and 62 per cent more expensive than in the UK. It pointed out that one of the main reasons for this was the “major resistance by consumers to own-brand products and a major adherence to established brands”, noting the “stigma” attached to retailers such as Lidl and Aldi when they first entered the Irish market. However, the committee noted over the past two years that food prices in Ireland have dropped to the current rate of 18 per cent above the European average, but it said that this is “still too high”. Email “Own-brand products 'allow retailers to bully their suppliers' ”. Feedback on “Own-brand products 'allow retailers to bully their suppliers' ”.